We have seen a couple of robots solve Rubik’s cubes before here at Geeky Gadgets, the latest one is capable of solving it in just 23 seconds, he is called the RuBot II. The RuBot II has to be the world’s fastest Rubik’s Cube solving robot, 23 seconds is very impressive considering that the Rubik’s Cube has a total of 43,252,003,274,489,856,000 permutations. 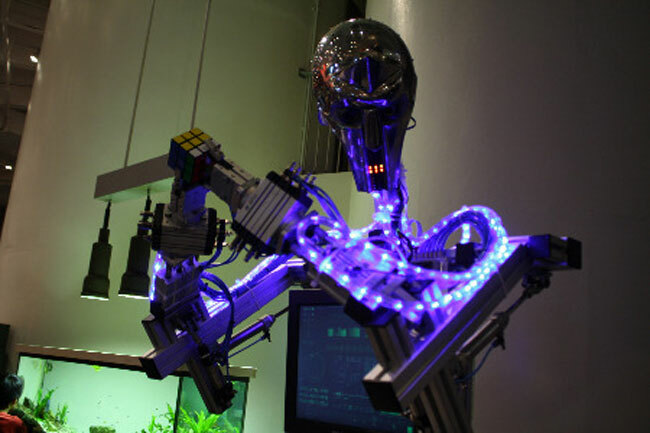 Before each attempt of Rubik’s Cube solving, the robot is calibrated, then the Cube is mixed up, and then the RuBot II scans one side of the cube, he is then able to solve it, you can see him in action in the video below.